When public policy impacts your practice. If you ever feel just a bit of pressure or wonder why you started or joined your practice, you are not alone. Many business owners and managers from myriad industries might not regret their entrepreneurial spirit but do periodically take pause to wonder, “If I knew then what I know now would I do it all over again?” The pressure of regulatory, legislative, and legal compliance can be overwhelming. This is just one more area of conflict that private practice owners and managers must navigate on the path to success, not to mention the path to mere survival. The Hill reports, “2015 was a record-setting year for the Federal Register, according to numbers the Competitive Enterprise Institute in Washington, D.C., released [in December]. This year’s daily publication of the federal government’s rules, proposed rules, and notices amounted to 81,611 pages as of Wednesday [December 30, 2015], higher than [2014’s] 77,687 pages and higher than the all-time high of 81,405 pages in 2010—with one day to go in 2015.”1 This does not include the 60 Executive Orders and Memoranda some of which mandate paid leave, overtime, nondiscrimination, and other employment provisions. The categories of protected classes continue to increase as 22 states currently have laws barring discrimination based on sexual orientation with more reportedly2 on the horizon in 2016, including those adding gender identity and/or expression. The National Partnership for Women and Families reports3 that as of July 2015 paid sick leave mandates had been enacted in 23 jurisdictions in the United States. I find most legislative and regulatory reform is born out of good intentions. Paid leave mandates espouse supporting parents who must choose between working to earn wages or staying home to care for a sick child. Discussions with elected officials sponsoring new employment legislation reveal the issue frequently originates with one constituent’s story. An employee has a problem or challenge at work, contacts his or her state delegate or senator, and voilà! A bill is born. So what is a business owner or manager to do? Advocate: It is a verb and a noun—so do it and be it. Be an Advocate! Think about all that you currently do for and offer your employees. Do you stand above the market? How do you carve yourself out from the competition? Once you have defined your “best practices,” ask yourself, “Do I want my state-elected officials to flatten the market and make every other business do what I have already created, paid for, and administered for the benefit of my employees?” If your answer is “yes,” then so be it. For many employers that is not the desired result. Think of it. How can you shine in a flattened market where all employers are required to meet the standards of the highest or those deemed to be the best? 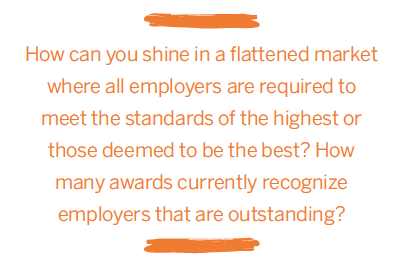 How many awards currently recognize employers that are outstanding? Chambers of Commerce, professional and trade associations, and many more recognize employers for all sorts of “best” or proactive practices. As the market flattens through regulatory and legislative mandates, the opportunities for recognition are reduced. There are many lists touting projected employment trends for 2016. Here is mine in no particular order. Decriminalization and legalization of (medical) marijuana will continue to impact workplace policies and practices on substance use, abuse, testing, and fitness for duty. Workplace wellness programs—as of this writing the U.S. Equal Employment Opportunity Commission (EEOC) is poised to release related regulations,4 while states and local jurisdictions consider related issues such as bans on electronic cigarettes and vaping. Ban-the-box laws prohibiting or limiting employers’ ability to inquire about criminal history prior to extending a bona fide offer of employment. Fair or predictive scheduling bills propose to require employers to pay an employee whose scheduled workday or hours are reduced or canceled with minimal notice to pay the employee for the day’s wages or a portion thereof. Paid (family, sick) leave proposals to require certain employers, including some with as few as 10 employees, to provide specific amounts of paid leave under specified terms. Pregnancy accommodation to provide even greater protection and accommodation for pregnant applicants and employees than is currently provided under the Americans with Disabilities Act and the Pregnancy Discrimination Act. Pay transparency legislation gives employees the legally protected right to discuss their own wages or those of a coworker with other coworkers (often with or without the coworkers’ permission). Minimum wage increases—at least 29 states plus the District of Columbia5 require a minimum wage higher than the federal with similar requirements under Executive Order for covered government contractors. Healthy workplace bills (anti-bullying legislation)—at least 31 legislatures6 have introduced legislation that would increase liability for employers for workplace bullying, which is defined more broadly than workplace harassment. Workplace flexibility—bring your own device (BYOD), flexible staffing, electronic messaging, and all the wage and hour implications that come with these practices will continue to have the attention of the U.S. Department of Labor, which is expected to issue a Request for Information (RFI) in early 2016. Stay tuned for related regulations. Now Advocate! Choose just two, maybe three of the topics above (or any others) that may impact your business, human resources, and employment-related practices. 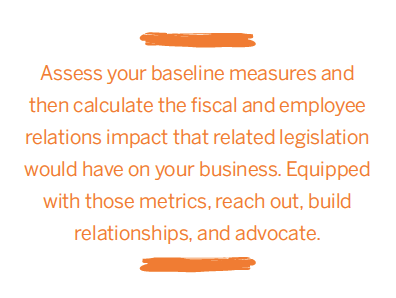 Assess your baseline measures and then calculate the fiscal and employee relations impact that related legislation would have on your business. Equipped with those metrics, reach out, build relationships, and advocate. Whether you support or oppose a proposed initiative, advocacy is the message here. Employers need to shape public policy that works for them and their employees. No one knows that better for your practice or business than you. How? Identify the sponsor of related legislation, whether it is a U.S., state, or local representative. See them in person, or when that is not feasible, call them to schedule a conversation. Draft your talking points in advance. Connect with and follow the elected representation on social media: Facebook, LinkedIn, Twitter, etc. This will help them connect your name with your face—making the in-person dialogue more familiar. Tell your business story; explain what your position is and why. Do not forget the “why”; it can be a powerful tool in negotiation. This article does not constitute the rendering of legal advice. 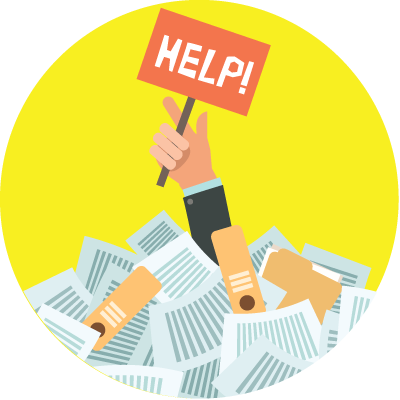 You should consult with your practice’s legal counsel for advice on employment-related matters. 1. http://thehill.com/regulation/administration/264456-2015-was-record-year-for-federal-regulation-group-says. Accessed January 2016. 2. www.usnews.com/news/us/articles/2016-01-02/states-plan-renewed-debate-on-lgbt-rights-religious-freedom. Accessed January 2016. 3. www.nationalpartnership.org/research-library/campaigns/psd/state-and-local-action-paid-sick-days.pdf. Accessed January 2016. 4. www.federalregister.gov/articles/2015/04/20/2015-08827/amendments-to-regulations-under-the-americans-with-disabilities-act. Accessed January 2016. 5. www.dol.gov/whd/minwage/america.htm. Accessed January 2016. 6. http://healthyworkplacebill.org. Accessed January 2016.